Less than a week remains until Galaxy Note9's launch on August 9, but it appears that Samsung's official New Zealand YouTube channel didn't get the date right. A full-blown intro video of the device was uploaded and judging by the name and the fact that it was quickly taken down afterwards, it must have been an accident. The video is all about the updated S Pen and its enhanced functionality, the expandable storage and all day battery life. 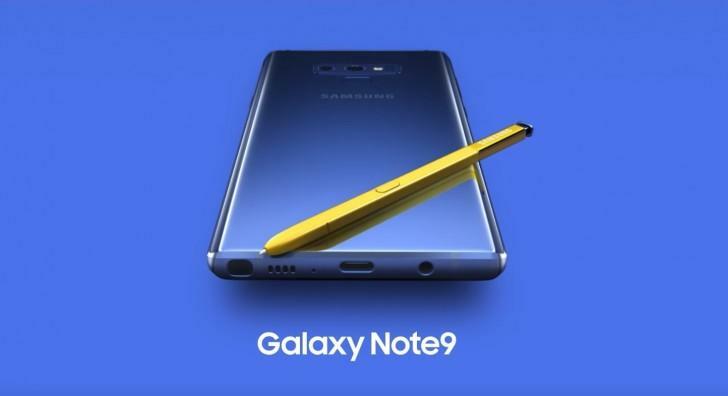 The S Pen appears in yellow and the Galaxy Note9 itself is in Coral Blue. The "all new powerful S Pen" references Bluetooth and additional features. There's also a hint at bigger storage option - "1 terabyte ready with expandable memory." But don't get your hopes too high - that doesn't mean the Galaxy Note9 will have 1TB of internal storage, it just means that the beefed-up model will boast 512GB of storage and support for 500GB microSD cards. And finally the "all day battery life" saying could be another indication that Samsung is bumping up the battery capacity, which is rumored to be 4,000 mAh this time around. 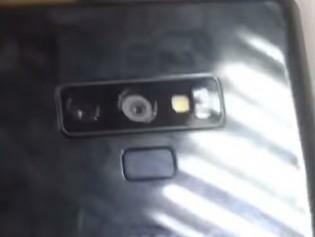 Oh, and the cameras on the back look identical to the ones shown in the leaked hands-on video the other day. As Samsung's Galaxy Note9's launch is getting closer, leaks start to get spicier. In the latest piece, the phone appears in a live video and by the looks of it, it's a legitimate pre-production sample. Throughout most of the video, we get to further confirm the device's striking similarity to its predecessor and for some reason, it has a screen protector applied. On we back we saw something that wasn't available in the previous reports. Looking at the dual camera design, the main lens looks a lot like the adjustable aperture ome on the Galaxy S9+. The same goes for the secondary unit on the left. The only difference we can see is the alignment - vertical vs. horizontal. It makes a lot of sense for Samsung to put its flagship sensors from the Galaxy S9+ to the Galaxy Note9 but as previous leaks suggested, we should expect some added features that aren't available on the mainstream flagship Samsung series. We will know for sure pretty soon on August 9 when Samsung is going to announce the device officially.